I have tons of jewelry, but don’t like storing it in boxes. It becomes a tangled mess, and I find it hard to see what I have and end up not wearing most of it. 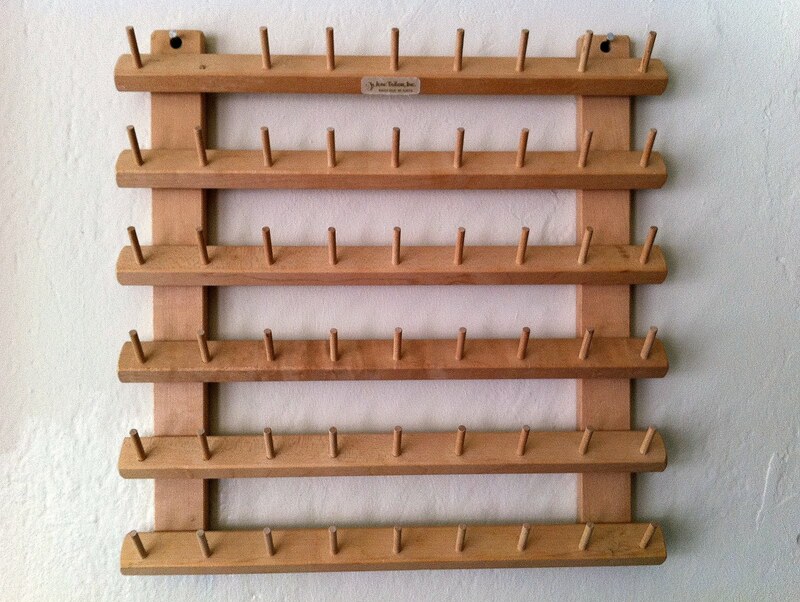 Recently, I found a wood thread rack at a thrift store for $1.99. With it’s multiple rows of pegs, I figured it would be a perfect way to organize and display my smaller jewelry items, like earrings and bracelets. I nailed it to the wall, and ta-daaaa! Instant jewelry display. 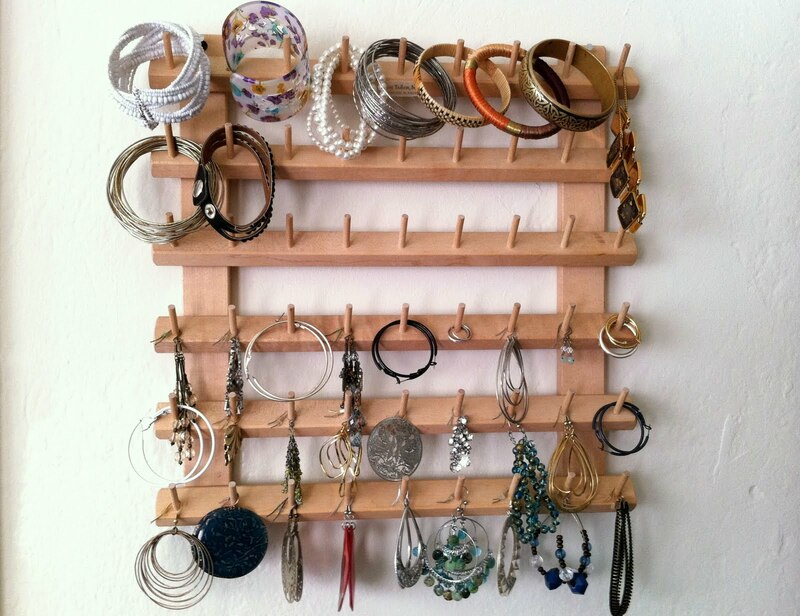 Read more on creative ways to store jewelry.